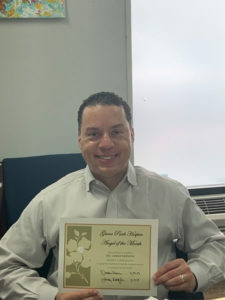 Grove Park Hospice Medical Director, Dr. Lamar Dawkins is our Angel of the Month! Our beloved Dr. Dawkins shows care and compassion while providing the best pain and symptom control for our patients. He is always kind and considerate and responds timely to our patients’ needs. Congratulations Dr. Dawkins! We are proud and honored to have you on our hospice team! Hospice Care Orangeburg SC – Dr. Dawkins Voted Hospice Angel of the Month!